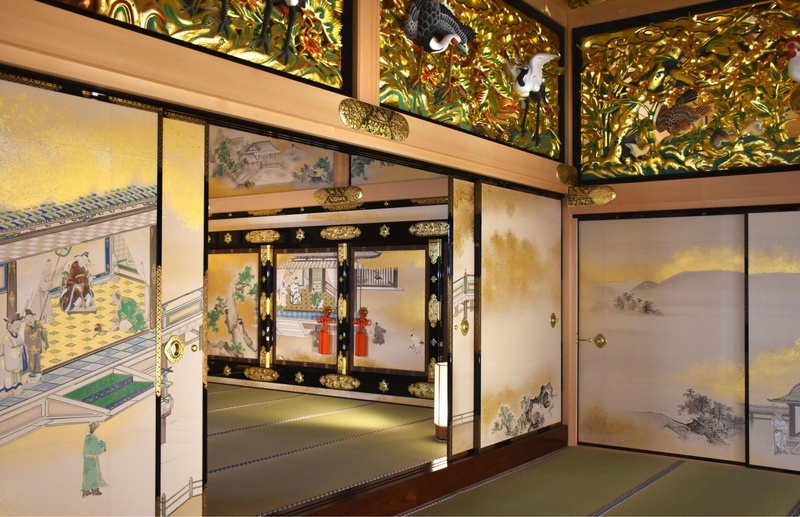 NAGOYA - The reconstructed main palace of Nagoya Castle, originally built in 1615 on the orders of the first Tokugawa shogun but destroyed in World War II, was unveiled to the public Friday, allowing visitors to see the lavish rooms as enjoyed by the Tokugawa family. The Hommaru Palace of the castle, designated a national treasure in 1930, was burned down in 1945 during a wartime air raid. The city of Nagoya began reconstructing it in 2009, and parts of the one-story palace were opened to the public in 2013 and in 2016. “We must take care of the Hommaru Palace for the next 1,000 years and keep it as a treasure we can show off to the world,” said Nagoya Mayor Takashi Kawamura. After it was erected, at the behest of Shogun Ieyasu, the castle became the residence of the Owari lineage of the Tokugawas. 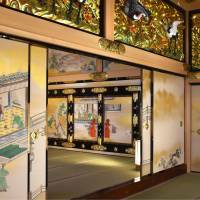 The reconstructed palace includes luxurious rooms in which the third Tokugawa shogun, Iemitsu, stayed when he was on his way to Kyoto, as well as his sauna. As the main castle tower located next to the Honmaru was closed last month for replacement of its wooden structure, the Honmaru building is expected to become the new main attraction of the castle until that reconstruction is completed.